General Characteristics = The heartwood is orange-brown, orange, or golden-yellow in color, with a copper luster, and darkens upon exposure. 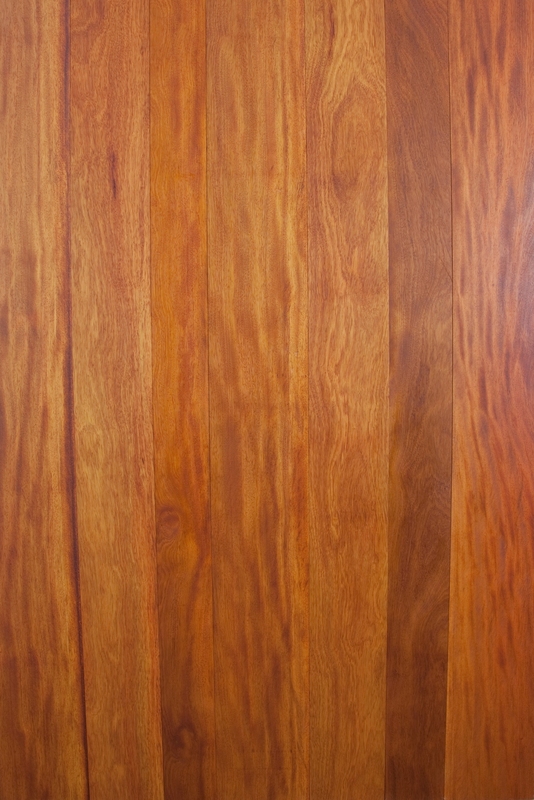 The striking color of the wood, together with the figure is reported to give it a very attractive appearance. Grain = The grain is usually interlocked or irregular, and produces an attractive ribbon or rope figure. Texture = The wood has a coarse to medium texture. Movement in Service = The material is reported to be stable, and exhibits only small movement in service.